History Archives — 1950 Mass. Ave. 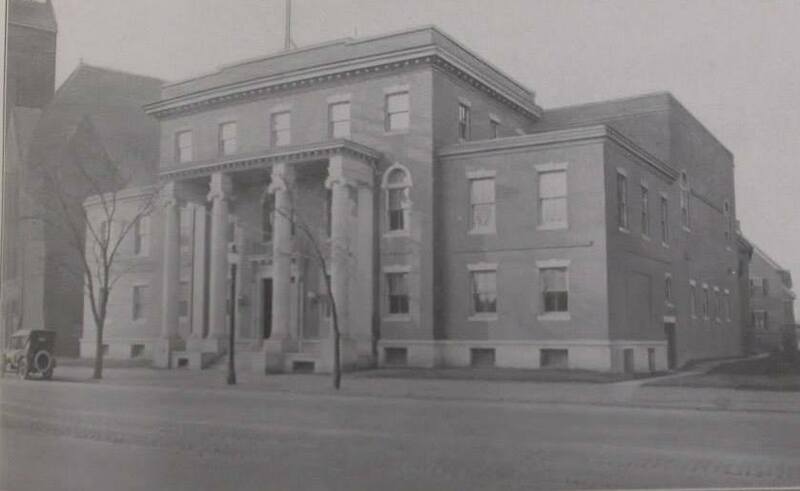 The Cambridge Masonic Temple (which we simply call "Cambridge Masonic" elsewhere on this site) became a reality in 1908. In that year the board of directors of the Cambridge Masonic Hall Association purchased 15,000sq ft of land on North Avenue, this street would later become Massachusetts Avenue. Construction begun shortly after the cornerstone ceremony that was held on June 30, 1910. The building was completed by September 1, 1911. The Cambridge Masonic Temple was dedicated on October 18, 1911 by the Grand Lodge of Masons of Massachusetts with over five hundred present! After one hundred years of Freemasonry in the City of Cambridge, the Freemasons of Cambridge had their first Masonic home that they built themselves. It cost over $94,000 to construct, which would be over $2 million today, yet the building loans and the mortgage was paid off in ten years by fund raisers, shows and fairs. 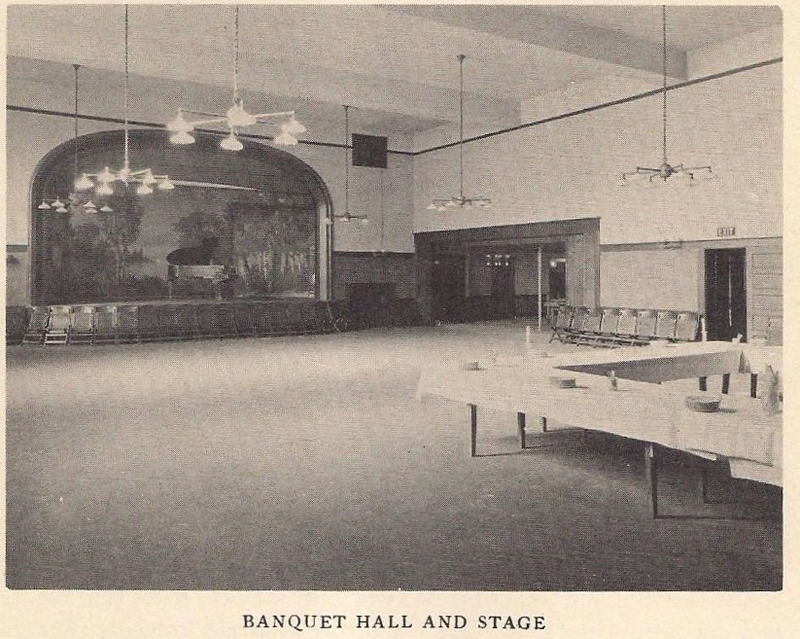 It once contained three large Lodge rooms and is over 29,000sq ft., internally. The land on which the Cambridge Masonic Temple sits on today dates back to 1767. It is recorded that at that time a house and barn was built and owned by Nathianel Prentice. April 19, 1775 citizens of this area of Cambridge were awoken to the cries of a lone horseman that warned the Patriots that the British were coming. Nathianel was one of those men that marched off that fateful day in our Nation's History. It later became home to the one room bank known as the Cambridge Market Bank. Cattle for Boston were shipped to Porter Squares cattle yards and penned awaiting the market. It was here in Porter Square the famous cut of beef was introduced, the Porter House Steak which made it's debut in the Porter House Hotel located at the corner of Massachusetts Avenue and Porter Road, adjacent to where the Temple now stands. Porter Square was also home to one of the last working farms located here in Cambridge called the Rand Estate which operated well into the 1950's when the Porter Square shopping center was constructed. The Cambridge Masonic Temple has become home to fifteen Masonic bodies and groups. Two churches once used our facility and a host of events from Tea Parties to silent movie debuts. Dances to concerts, children's plays and lectures to shows and events of all type. Today the building is still used as the home of seven Masonic bodies and became a historical building designated by the City of Cambridge in 2009. She has stood as a shimmering light to Freemasonry on Massachusetts Avenue for over 100 years and is part of the history of the City of Cambridge.